Whoa, it's been a while! Above was the option with the compass, and below was the design with the family crest. In the new options, we were trying to go for something that's much more reminiscent of old world designs, and what better way to achieve that effect than making use of hand-drawn elements? I had designed the previous "R" in the old options, but since this new direction was so detailed, I thought it would be best to recreate an R that would better suit the new logo. 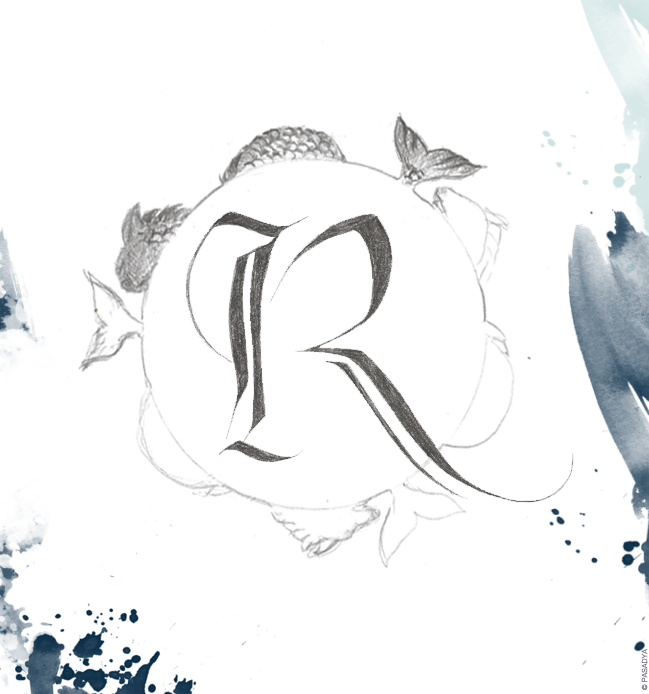 We're still in the process of editing the R, along with surrounding the letter with sea-monsterish dolphins--which annoyingly looked like weird unicorns for far longer than I'd like to admit. How do I get these weird images in my head, anyway? Obviously, they're being edited and drawn-in along the way. 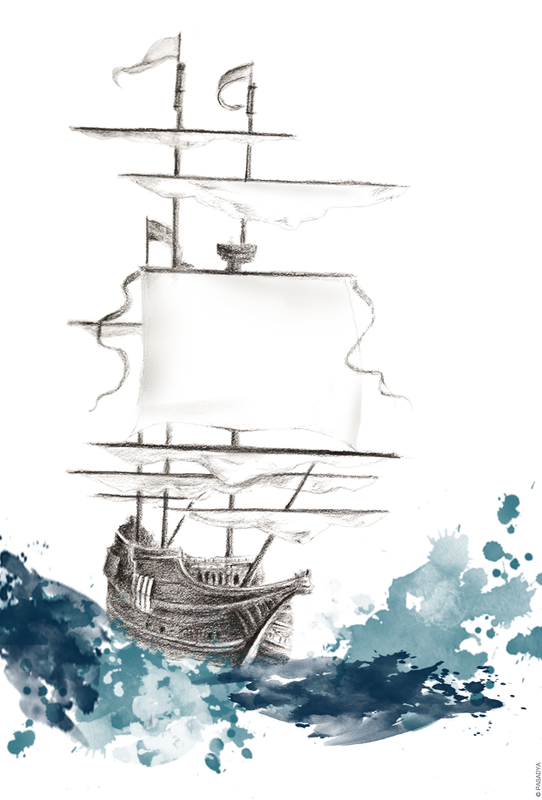 And here is a new ship…two will be flanking the central elements of the sea monsters surrounding the R.